After we finished tasting all 324 of these beers and I averaged the scores they received, something occurred to me. It was this: With a field this large, I hate to let all of the other great beers past #50 go completely unrecognized. Writing 50 entries (and making them distinctive) is already an extremely difficult task, so I can’t actually take it upon myself to WRITE more entries than the usual 50. But what we can do is list a few more of the beers that just barely missed being in the top 50. So here you are: 30 more beers, which comprise #80-51 of 324 in the overall average scores. You could consider this section our “honorable mentions” for the tasting. Every one of these breweries made a very, very good beer in order to make the top 25% of all the IPAs we tasted. The verdict: Mayberry is a beer we’ve liked in the past, and it remains an all-around solid representation of an IPA that exists in the middle ground between older and newer styles. Although styled as a “100% Mosaic IPA,” it doesn’t quite pack the assertive tropical fruit/berry character often associated with the varietal. Rather, the profile of Mayberry is nicely balanced and moderate in intensity—pleasant citrus and grass/resin are complemented by clean, crisp malt, in what one taster’s sheet dubbed “modern, non-hazy IPA.” Another taster sort of summed things up on his own score sheet: “At this point, a mildly tropical, crisp IPA like this is kind of a great alternative.” Its presence here speaks to the wide array of IPA substyles that ultimately performed well. The verdict: One of our biggest sticking points in this blind tasting ended up being tableside discussions/arguments on the nature of descriptors like “grassy” and “chewy.” It has become apparent that these ideas often constitute a dividing line between IPAs we quite like, and ones that we can’t quite handle—beers that are so obsessed with the quest for “juiciness” that they become overly choked with either yeast or hop particulate until they’re overpowered by grassy, green, herbaceous flavors. Proof’s entry here is one that deftly toes that line, without stepping over onto the wrong side. Big citrus (lemon) and tropical (mango) juiciness is buttressed by a whole lot of grass/resin and a very chewy texture, which stops just short of being overwhelming. At the same time, it’s a bit drier than some of the other NE-IPAs, with a nose that combines ripe tropical fruits with huge, dank weediness. It’s one of those beers where it wouldn’t take much for its flavor profile to become too intense to the point of being unappealing, but they wisely didn’t let that happen. The verdict: WeldWerks has ascended to the status of one of Colorado’s most hyped breweries, and with good reason—they produce well above-average versions of most of the styles that get beer geeks excited, and especially IPA and imperial stout in particular. Juicy Bits is a beer we’ve had before, but there was a unique wrinkle to its profile this time that none of us could remember tasting in the past. Its expected orange juiciness is there—this beer is packed with it, along with some nice stone fruit peachiness, but our cans also displayed an unexpected, almost “smoked” quality on the nose that was noticed by several tasters. A subtle note that reminded various tasters of dried peppers or smoked paprika, it still didn’t hurt overall appreciation of the beer, especially once the orange juice and resin start popping on the palate. Thick and chewy in terms of texture, it may have been giving tasters some kind of false positive as far as the “smoke” note was concerned, but that very note also engendered a lot of discussion at the table of its other merits. 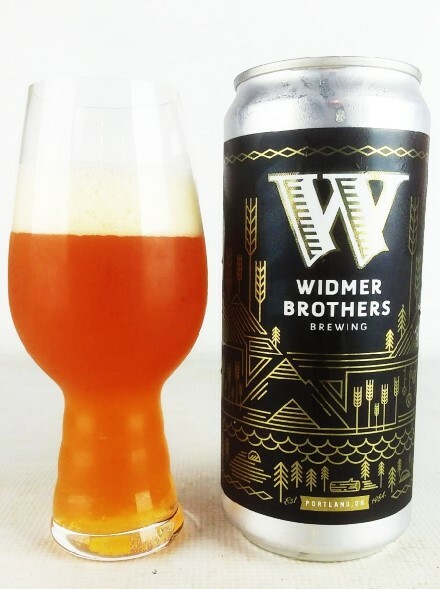 The verdict: Oh, and speaking of a brewery you wouldn’t expect to see in a hazy IPA conversation … it’s Widmer! Yeah, that AB InBev Widmer, best known for their iconic hefe. Look, we didn’t expect it either, but this beer is hugely assertive and brings some very interesting flavors into play. It’s a whole lot of things at once—big tropical fruits, some caramel sweetness, some pine and resin, like a miniaturized DIPA. It’s not lacking in juice, but features more biscuity malt balance than the majority of the other IPA entries—you definitely won’t be seeing the words “caramel” or “biscuit” pop up many times throughout these rankings, given the modern IPA landscape. All of the flavors are intense, cranked up to 11, to the point that one taster thought it was almost a bit overpowering, but most tasters appreciate its sheer gusto. The verdict: Mango and pineapple juiciness are the name of the game in this hazy IPA from Washington’s Silver City, a brewery that has popped up highly in a few Paste blind tastings—particularly the annual Christmas beer tasting, where they regularly seem to dominate. This beer, Tropic Haze, is the first Silver City IPA to really excite our taste buds, and it does so by being just a very solid representation of what NE-IPA is all about. The aforementioned tropical fruit juiciness leads off on the palate, although the nose is more dank, with a significant (but pleasant) cattiness. Fairly well balanced all around, it doesn’t get too sweet or syrupy, but just lets its hops run wild to good effect. As one taster literally wrote, “people will like this.” He wasn’t wrong. The verdict: As a brewery, Coronado has produced some crystal clear IPAs that quite impressed us over the course of the last few years, but this is the first of their hazy IPAs to catch our eye. 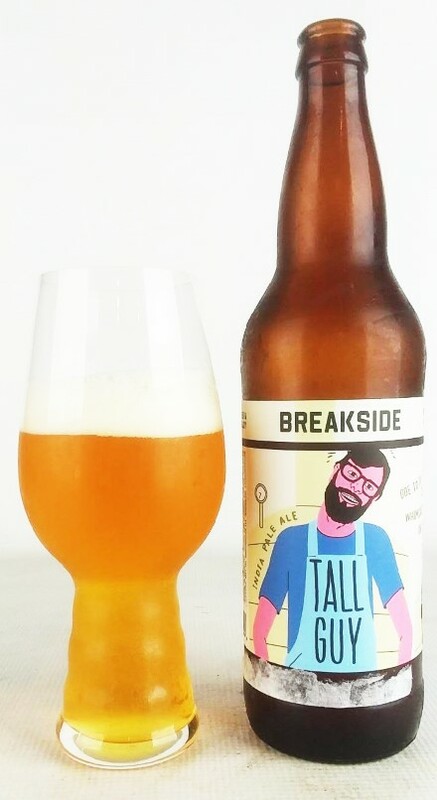 Brewed with oats for a creamy mouthfeel, this one is a bit more on the subtle side (at least compared to some of the other hazies), with a nice hop melange that blends tropical fruit impressions with something distinctly melon-like—one taster decided that note was “distinctly cantaloupe.” An easy-drinking, very approachable side of NE-IPA is on display here. Note: Please ignore that this photo says “The Doppler Effect,” as we seem to have misplaced the photo of Sunspots. Our apologies. The verdict: There are interesting flavors to be gained in combining newer and older hop varietals in modern IPA, and Berner is a good example, where modern favorites like Citra and Galaxy meet classical Cascade (and to a lesser extent, Simcoe). The effect here is a very pretty blending of styles—Berner is scented like orange perfume and wildflowers, and is very soft on the palate, with little bitterness. Effortless in terms of drinking, it combines light pine and resin with subtle hints of sweeter, juicier citrus. It’s a good example of how you don’t need to blow the doors off in NE-IPA to make a nicely balanced, easy-drinking beer—or indeed, how it’s easier to make a balanced beer in this style if delivering MAXIMUM HOPS isn’t your sole goal. The verdict: Being based in Atlanta, the beer drinkers of Paste have slowly watched the city’s IPA tastes swing in the direction of hazy/juicy, a few years behind the national curve. There are now a good number of solid hazy options throughout the greater Atlanta area, from the likes of breweries such as Creature Comforts, Torched Hop, Monday Night Brewing, Three Taverns and the Wrecking Bar Brewpub, but Wild Heaven’s Altair is one of the best you’re likely to be able to find in cans on a regular basis. This one is brightly citric and very easy drinking, with clean, punchy flavors of lemon and orange, followed by touches of white grape. 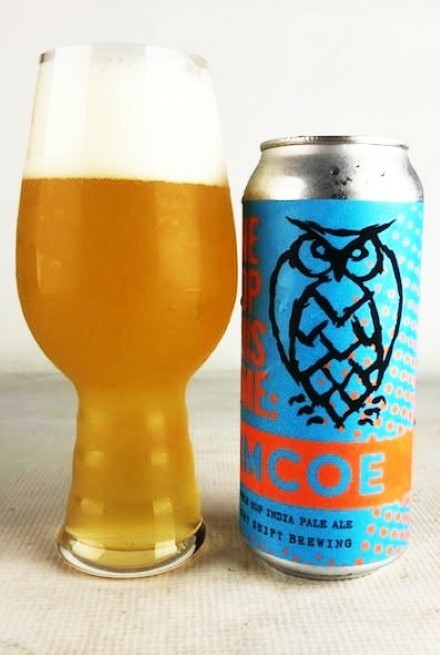 As one taster wrote: “Very genuine, bright citrus nose, orangey and floral, easy to enjoy.” From another: “Surprising depth for a very light color, clean finish.” Regardless, it has what is an important quality in NE-IPA, which is drinkability. Disclosure: Wild Heaven was founded by the former co-founder and original publisher of Paste, and is only a few blocks from the primary Paste office in Avondale Estates, GA. The verdict: In the course of repeating this type of blind tasting multiple times for the same style (IPA), there are classic beers that eventually fall out of favor, usually because they’re simply being left behind by the evolution of personal taste. Another One is not one of those beers. Unlike so many others, it has a way of reinventing itself—not because the beer itself has changed, mind you, but because it’s repeatedly been able to fit into different nooks and crannies of an evolving niche. These days, what you’re most apt to note with Another One is the sheer drinkability of it—the beer is one of the most dangerously “crushable” 7% ABV bottles ever created, which makes the name all the more apropos. Bright, lemon citrus and lightly resinous/grassy hops are perfectly balanced with subtle, crisp, slightly doughy malt in beautiful harmony. It’s a modern classic of the genre, by any definition. The verdict: Revolution’s flagship Anti-Hero IPA is a great example of how the IPA market has evolved in the last decade—when I first tasted it in 2010, it seemed like an all-out hop assault, but the same beer today presents itself as much more malt-balanced to the average IPA-drinker palate. The brewery must be well aware of this, and as a result they rededicated themselves to creating a rotating lineup of much more hop-forward “heroes,” highlighting popular varietals like Citra, Galaxy, Mosaic and more. Mosaic-Hero is interesting, presenting less of the tropical fruit/berry notes often associated with Mosaic and instead uncovering a different side of the hop—one that is much more resinous, with an earthy, almost herbal quality that is unique. “Clean, resin and grapefruit zest, West Coast-like but slightly unusual” reads one score sheet. “Good all-around IPA that blends styles,” reads another. “An IPA I would actually order again.” In a landscape of saccharine, one-and-done hoppy beers, that’s a not insignificant bit of praise. The verdict: Of all the breweries we regularly receive beer from in Vermont, Frost has proven to be perhaps the most dependable of them all, in terms of making the ranked portion of Paste blind tastings—particularly when the style is a hop-forward one. This beer is pretty much on the lowest end of the “IPA” spectrum as far as ABV is concerned, although IPA in the 5% range is seemingly becoming more common. What it’s certainly not lacking in is hop presence, as the aromatics on Ponyboy are explosive, packed with dank, catty and citric notes. Lemon and grapefruit blend with high-octane dankness and mild bitterness, in a package that is still quite easy to drink. Big flavors in a small package—with the decline of session IPA, it seems likely that the style will be largely be absorbed into IPAs that look and feel a lot like Ponyboy. The verdict: There’s a valid question to be asked, in the world of hazy IPA, about how much hop flavor intensity is too much intensity. What we do know is this: You can’t simply keep adding hops forever. There exists a definite tipping point, after which the sought-after “juiciness” disappears and leaves you with flavors that are almost exclusively green, grassy and almost corrosive in texture. This IPA from Toppling Goliath is perhaps the closest to that tipping point while also still being one we quite enjoyed—it is SO close to being overkill, but somehow stays barely on the right side of drinkable. It should go without saying that the flavors are all massive—monolithic impressions of resin, grass, intense citrus, sweet onion/garlic and mango, each one bigger than the last. The texture, likewise, is extremely thick and chewy. In short, this is exactly the sort of IPA that is currently dominating the highest rankings on ratings sites such as Untappd, and much of that is due to bombast. A lot of breweries are trying to make hazy IPAs in this mold and failing miserably at it, but we’re not surprised that a place like Toppling Goliath (which also made our #4 pale ale of 151) is doing it right. The verdict: Brew Gentlemen is a brewery that has consistently proven itself as among the elite in Paste blind tastings—especially the flagship General Braddock’s IPA, which has now received plenty of attention. Not to be forgotten, though, is Legendary Weapons, the kung fu-referencing little brother to Gen. Braddock, and another very solid NE-IPA. This one is notably full in mouthfeel despite the lower ABV, with a soft, chewy texture and a big nose of dank and resinous notes, which evolves on the palate into a rush of freshly squeezed orange juice. Combined with the texture, it’s definitely reminiscent of full-pulp orange juiciness, all the way. Also notable is the dry finish, which makes this one a bit less sweet and a bit more drinkable than most NE-IPAs with the same sort of texture. Certainly, this displays a lot of brewing skill in more ways than one. The verdict: Tropicália was a big beer for Georgia when it arrived a few years ago, heralding the era of “juicier” IPAs infiltrating the Southeast, and it remains a wonderfully well-balanced (but still quite hoppy) daily drinker, a few years later. 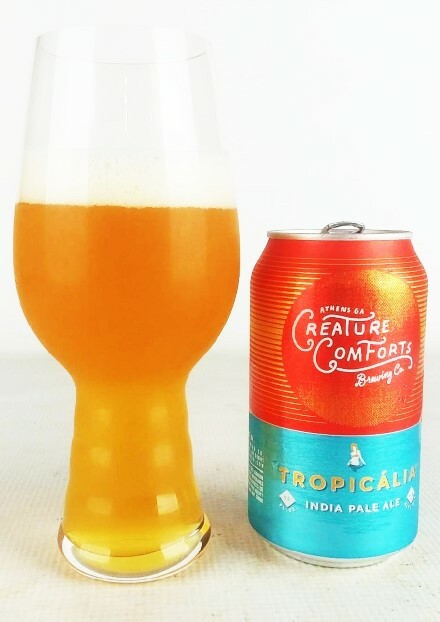 One drinker called it “a pretty excellent blend of eras,” and that’s what Tropicália has now become—a premier example of what was great in the style just before hazy IPA bulled its way in to take over. Citra and Galaxy work in wonderful tandem in this beer to create a lightly juicy note of sweet mandarin orange and a touch of vanilla, while the malt side of the equation isn’t entirely absent—there’s just a little bit of subtle toast/caramel in here that at least offers a respite from IPAs that solely feature hop flavors. It’s well balanced, approachable and infinitely drinkable. There’s a reason why this beer became so very popular in Atlanta, and remains so today. The verdict: I’ve already waxed poetic in this ranking about how differently Mosaic can present itself in specific single-hop beers, but Simcoe is another hop varietal in much the same boat. Or more accurately, it’s usually safe to say that there’s a predominantly catty/dank/resinous character to be found in Simcoe in most cases … except for the rare outliers, where it’s super citrusy instead. This beer, from Night Shift, is the latter. Instead of “dank,” what we have here is plenty zesty, with a big, complex bouquet of citrus—orange, but especially lemon and lime zest as well. Low in bitterness and lighter in body than almost all the other hazies, One Hop This Time (undoubtedly one of the best names of the tasting) is simply bright and crushable. The verdict: When a brewery has been around for a while, and has a well-earned reputation for a specific beer style such as “West Coast IPA,” it’s difficult to predict how exactly they’ll react to the market when it begins to shift. Some breweries in that situation will simply double down on the beer that made them successful, content that the inherent quality of the product they’re known for will see them through. Barley Brown’s could have done that—their Pallet Jack IPA is well-known and well loved in the Pacific Northwest. But they didn’t rest on their laurels; they started experimenting with hazy IPA as well. And wouldn’t you know it; they figured out this IPA substyle as well. This one has a lovely, soft texture without being unnecessarily “chewy,” and a complex melange of fruitiness that hits notes of mandarin orange, white grape, melon and lemongrass all at once. Subtly sweet, it looks like nectar in the glass, and the taste isn’t far off. The verdict: Of all the breweries in this tasting, perhaps none of them raised their stock as much in our estimation as Four Quarters, for reasons that will become apparent as you scroll down this list. These small brewers from “Winooski, VT” have had entries in a few other Paste blind tastings, including an impressive placement in the time we tasted 144 barrel-aged imperial stouts, but their entries in IPA were on a different level, easily surpassing beers from much more heralded VT breweries. 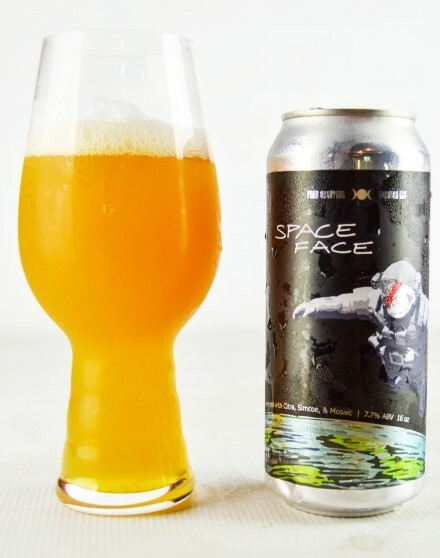 Space Face is interesting in several respects—it’s the highest ABV of all the IPAs to approach our 8% cut-off level, and perhaps it’s this beer’s girth that gives it such a luxurious texture. Regardless, this stuff really stands out for its creamy, smooth texture on the palate, which transitions effortlessly into assertive orange citrus, pineapple and mango. There’s some grassy/green notes here as well, but all in all, it’s still very much a fruit bomb. This strikes us as the kind of beer that would probably be rated among the highest in the world, if it came from a brewery with a lot of hype for hazy IPAs. The verdict: There’s probably a subset among we beer geeks who would prefer for a beer like Pernicious, from an AB InBev-owned brewery such as Wicked Weed, to have “fallen off” since their acquisition … but the thing is, it simply hasn’t. This beer was great when it first arrived, and it’s still great now—one of the best non-hazy IPAs you can expect to find on the market, especially when fresh. Pernicious is crisp, bright and vivacious, with a punchy hop profile of lemon/tangerine citrus, hints of tropical fruit and grainy malt, and enough bitter, spicy resin for balance. It’s a fantastic representation of “modern” West Coast IPA, and the crown jewel of AB InBev’s acquisitions as far as hops are concerned. If you’re still resisting the pull toward hazy, juicy IPA’s, then beers like Pernicious are a beautiful alternative. The verdict: Tree House’s “Curiosity” series of IPAs is about experimentation in “the art and science of brewing,” whether that be with novel hop varietals or other modes of exploration. This one is a blend of two different IPAs with similar hopping, but different “fermentation profiles,” as the brewery puts it. The results are certainly interesting—one of the tasters’ score sheets literally begins with “Well this is different.” Peach, melon and papaya-esque fruitiness all play off one another in a play for dominance, and the resulting beer seems exotic and intriguing as a result. With a decent amount of residual sweetness, it certainly summons some “juicy” connotations, but it doesn’t live and die by them. Compared with more straight-forward Tree House IPAs such as Julius, this one is a bit more of a puzzle to unravel. Regardless, there’s little doubting that Tree House has more than earned its outsized reputation as masters of NE-IPA. The verdict: It truly was fascinating to watch new breweries ascend to higher positions in this tasting than we’ve ever seen them reach before—it would seem that NE-IPA has the capacity to be The Great Equalizer as far as craft beer is concerned. 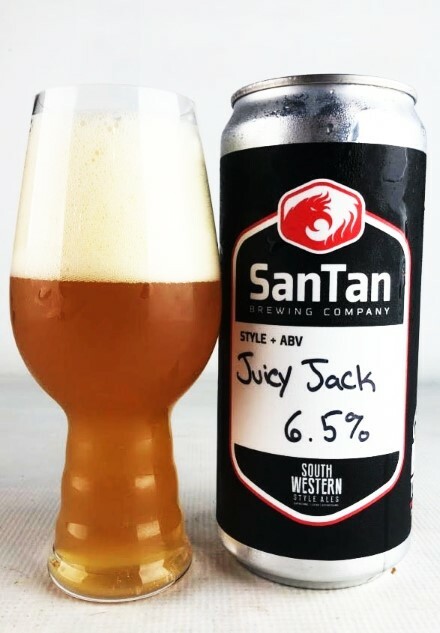 Although there were PLENTY of terrible attempts at hazy IPA from little-known breweries trying to make a name for themselves, some brewers we haven’t associated with IPA in the past have gotten it very right as of late—and SanTan is one of them we’ll be citing as an example from now on. Juicy Jack is a lovely beer, brewed with oats for a full and creamy mouthfeel, and then carpet-bombed with perfumey and tropical fruity hops. As one taster observed: “Delicious tropical juice with even-keeled bitterness on the finish.” There’s even a hint of unusual earthiness that helps set Juicy Jack apart from a lot of the other also-rans. Interesting stuff. The verdict: Brooklyn’s Threes is another brewery rising quickly through Paste’s blind tastings, especially after placing two different pilsners in the top 25 of our tasting of 134 of them. Logical Conclusion, on the other hand, is a fastball right over the middle of the plate in terms of NE-IPA flavor profiles—it really is close to the platonic ideal of how you would expect a well-rated hazy IPA to taste. 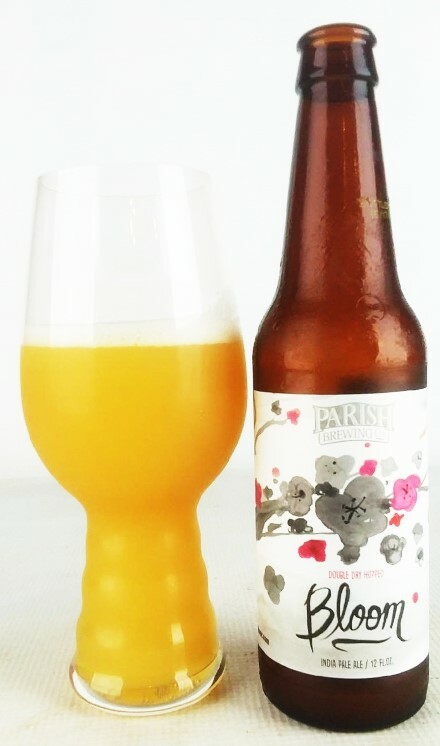 Soft, gentle and quite juicy, it has essentially no bitterness and revels in assertive flavors of orange, lemon and hints of pineapple. Refreshing and easy drinking but a touch sweet, it’s honestly one of the more uncomplicated entries in this style, but that’s not a bad thing. This is just easy to love, wish-fulfillment beer at its best. 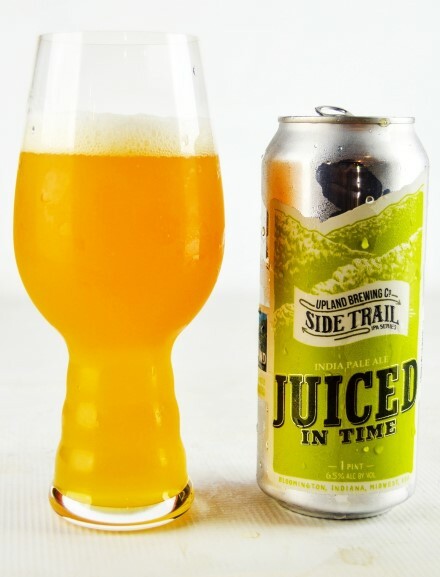 The verdict: We usually think of fruited sours as the big draw when it comes to Indiana’s Upland, but Juiced in Time makes it clear that they’re here to make a statement when it comes to NE-IPA as well. This one actually has some things in common with the Threes beer that precedes it on the list—wheat and oats add texture and a bit of doughy malt presence, while the hop profile veers toward juicy citrus impressions of orange and lemon, with hints of more exotic tropical fruits. 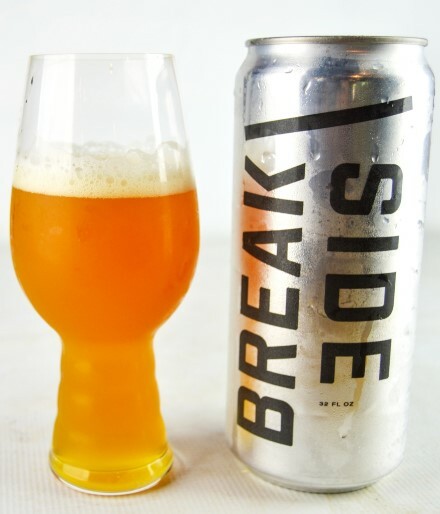 It’s another very friendly, easygoing sort of IPA that is indicative of the modern hoppy beer landscape, but done with even more capability than some offerings from breweries that are far better known as IPA producers. It’s an aspect of this style that hasn’t been fully considered: Well-made NE-IPA is allowing breweries not known for “hyped IPA” to undergo a genuine critical re-evaluation.